This sweet combination of 10 red roses and 1 kg Photo Cake can create an ultimate fantasy. Just go a.. 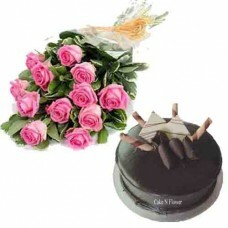 Excellent gifting option on occasions like birthdays, anniversaries, weddings or for any Special Day..